Please apply before 14 Dec 2017! On behalf of Dakshini Executive Committee, Panel of Advisors, and members who provided valuable input to the process, we are pleased to announce the Dakshini High School Scholarship Award 2017. This award being initiated for the first time and is being sponsored by Dr. Purnima Thakran and dedicated to her parents, Late Commander Sabyasachi Chatterjee and Mrs. Latika Chatterjee. Students who graduated from high school in 2017 and started college in Fall of 2017 are eligible to apply. Amount of scholarship awarded to be determined based on number of applicants. 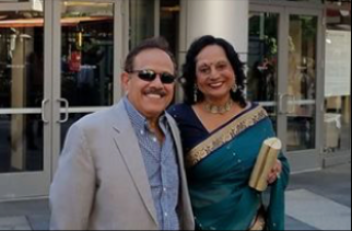 The award will be presented during Dakshini Annual Holiday Party on Saturday 16th Dec, 2017 by Dr. Purnima Thakran and Khalid Khan. We recognize that the timing is not perfect however this is a start! And we would like to recognize our graduating Dakshini youths for 2017 at our Gala Holiday Party Saturday 16th Dec, 2017. All applicants who submit a complete application will be eligible for cash award. Equal cash awards for all applicants who meet eligibility criteria. The last date for receipt of completed application is Dec 14th, 2017 at 11:59 pm PDT. Background note: There was an open call for applicants during summer 2017 and based on initial responses, the Executive Committee and its advisors made a decision to extend the timeline for feedback and public comment on the initiative. A survey was conducted during the Shrabon Sandhya event on 29th July 2017 as well as an online survey was emailed to full Dakshini membership. Executive Committee members spoke with several parents of Dakshini youth (over 30 families) at community events and gathered feedback. The overall feedback was that the scholarship award is a good idea and there should be some basic criteria for eligibility i.e. students need to provide some minimal responses and supporting material to avail the scholarship. Based on the recommendation and the goal to make this inclusive and equitable, we have formalized the process and set some basic eligibility criteria. If you are a current member of Dakshini for at least two years and have a child who has graduated high school in 2017 and is attending college starting this fall 2017, please encourage him/her to apply. 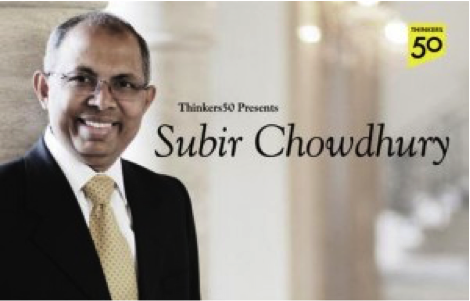 We are pleased to share with you all that the Thinkers50, a periodical international ranking of management thinkers, has named Mr. Subir Chowdhury one of the World's Top 50 Thinkers for 2017!